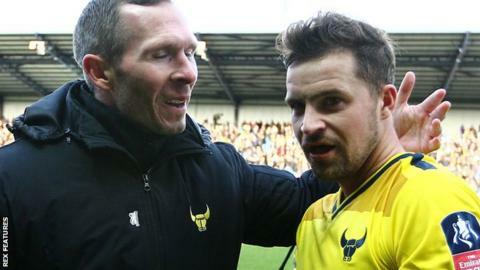 Oxford United have re-signed striker Chris Maguire for the rest of the season and taken Wolves winger Zeli Ismail on a one-month loan. Maguire, 27, has returned to the Kassam Stadium following his release by Championship club Rotherham United. Scotland international Maguire scored one goal in nine games during a six-week loan spell earlier this season. "It's an excellent signing. Chris has played all of his football at a higher level," said manager Michael Appleton. Ismail, 22, has made just five appearances for his parent club since joining as a trainee in summer 2012. He has previously been on loan at MK Dons, Burton and Notts County. Meanwhile, midfielder Danny Rose, 27, has left the club by mutual consent after making 138 appearances across two spells with the U's. Read more on Oxford United agree loans for Chris Maguire and Jordan Evans.